So says the latest issue of the Economist magazine, in an article that addresses the nuanced myth of bra-burning. Only there’s not much nuance in the Economist’s description. And that’s not quite right. As I discuss in my myth-busting book, Getting It Wrong, there is compelling evidence that bras were indeed set afire, briefly, during a women’s liberation protest on the boardwalk at Atlantic City. A centerpiece of the demonstration was what the organizers called the “Freedom Trash Can.” The Economist is correct in noting that high-heel shoes and other items were tossed into that converted burn barrel. That account was endorsed by Jon Katz, who in 1968 was a young reporter for the Press and who wrote a sidebar article about the women’s liberation demonstration. 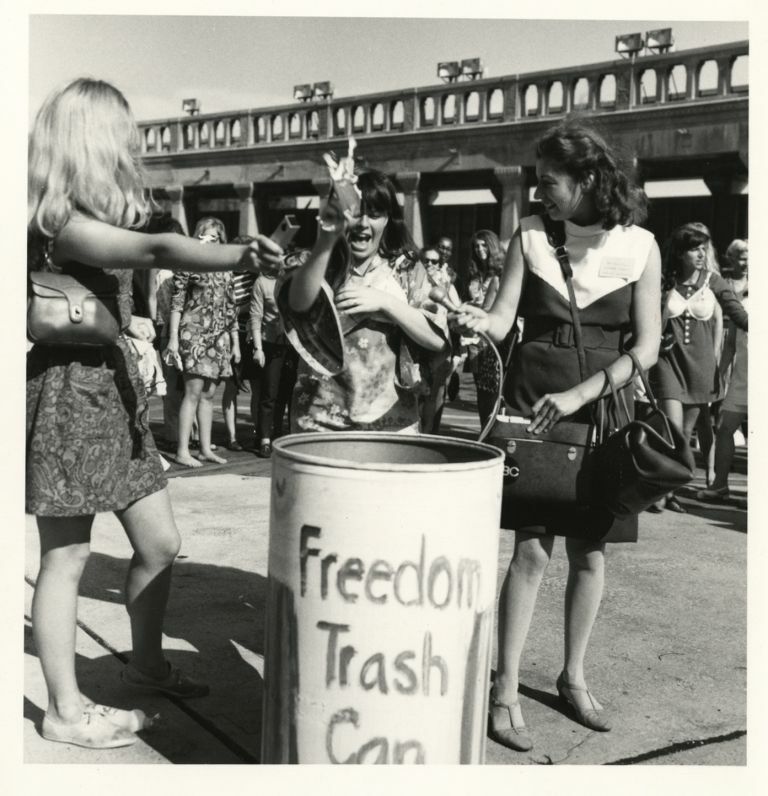 “I quite clearly remember the ‘Freedom Trash Can,’ and also remember some protestors putting their bras into it along with other articles of clothing, and some Pageant brochures, and setting the can on fire,” Katz told me in my research for Getting It Wrong. When the fire flickered out, Katz said, the police dragged the trash bin to the sand. “They represent two witness accounts that bras and other items were burned, or at least smoldered, in the Freedom Trash Can. There is now evidence that bras and other items were set afire, if briefly, at the 1968 Miss America protest in Atlantic City. However, these accounts do not support the much more vivid and popular notion that bras went up in flames that day, in a flamboyant protest on the boardwalk. And yet, as the evidence presented in Getting It Wrong makes clear, “bra-burning” is an epithet not entirely misapplied to the women’s liberation demonstration at Atlantic City. PBS set to embrace ‘mass hysteria’ myth in anniversary on ‘War of Worlds’?